Finally, a shisha tobacco flavor that pairs well with your morning meal! Chai Latte from Al Waha blends a sweet cream with cinnamon spice to create a delicious breakfast bowl! If you like chai tea, this flavor is a must have for your hookah session. 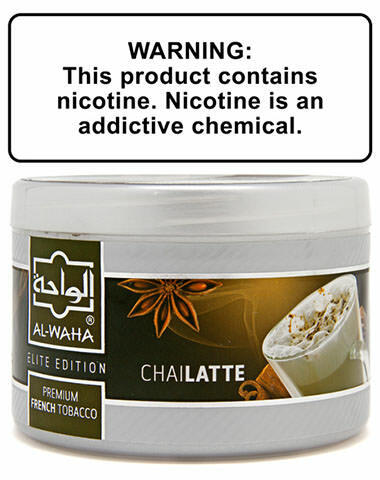 Chai Latte Al Waha Shisha Tobacco has a average rating of 0 stars out of 5 stars based on 0 reviews.